“Find something more important than you are, and dedicate your life to it.”, philosopher Dan Dennet said when discussing the secret to happiness in a TED Talk. 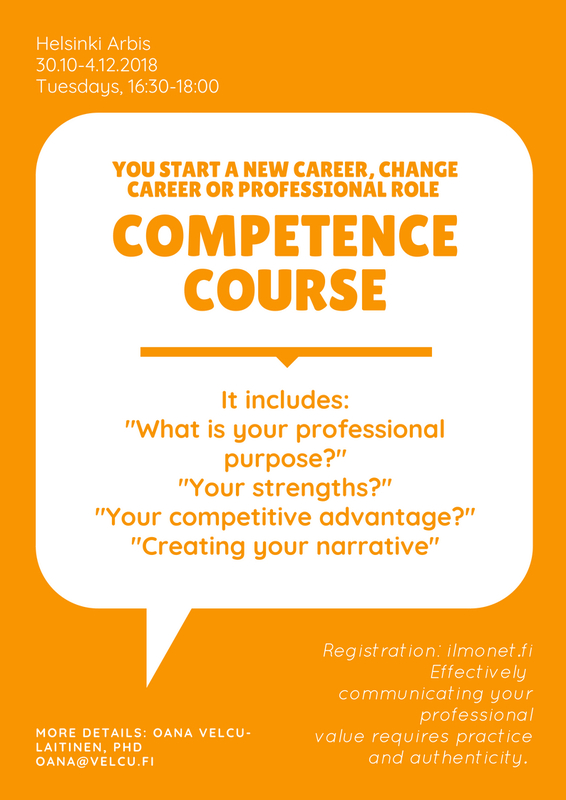 These courses are for individuals who are in transition to a new stage of life, like, recently moved to a new country, looking for a new job or a new career. The courses offer a framework which aims at inspiring the participants to clarify their thinking, discover their interests and take action. Please register here. 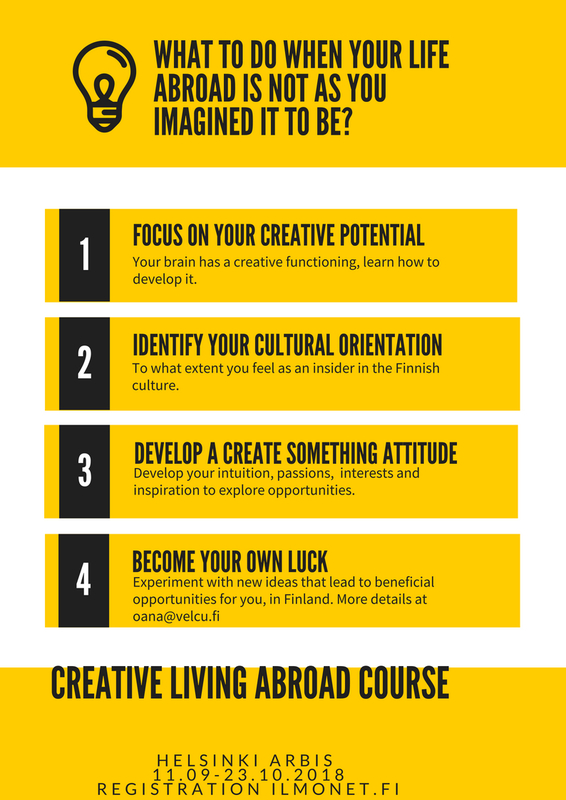 In addition, you can see another 2 courses I will be facilitating in Espoo Arbis, in Autumn 2018 and Spring 2019. Welcome. Anyone interested in unleashing the creative potential in his/her life in order to gain insights into particular areas of life, to see this area of life like he/she has never seen it before. Are you an explorer at heart? Are you curious about knowing what you can actually create in this life-time? Or being more aware about how you can enjoy your life in a more creative way? The aim of this course is to inspire new moms to find their special way to be happy in the new role as a mommy. The first 6 months of motherhood can be a tiring and overwhelming experience. The joy and meaning of the new role can be overshaddowed when being sleep deprived and going through changes in relationships and everyday routine. The first workshop is on Monday, the 6th March from 10:30 am to 11:30. The following workshop days are Monday, the 13th March, the 20th March, the 27th March, 3rd April and 10th April 2017. The course consisted of 8 seminars, in which we covered topics such as awareness, self-compassion, empathy, generosity, awe, gratitude, love and forgiveness. These topics were tackled from both a spiritual and positive psychology standpoint. Each seminar took about one hour, by the end of which, the participants were endowed with a set of techniques to cultivate their happiness.